By understanding the process of Online Marketing, you will better understand how website visitors browse your site and what their online behaviour is. Our Marketing Training Courses are set up for marketing professionals or business owners who want to learn SEO, PPC or want help with their social media marketing. Our training courses are based on your organisation’s requirements and will help you understand how we can make the internet work for you and your business. 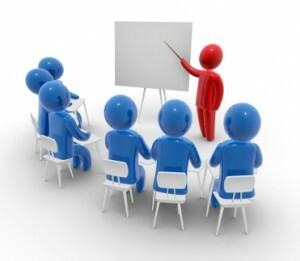 Our Marketing Courses are held at a location of your convenience. Learn about search engine optimisation, how to optimise your own website and how the search engines crawl your site. Learn how to set up a Google Adwords campaign from scratch and how to manage it within budget. As part of the Social Media Training we offer Twitter Training, LinkedIn Training and Facebook Training. Learn how to set up a business profile that works for you. Our WordPress workshops are a great opportunity for small business owners or enthousiastic professionals wanting to learn how to work with WordPress to build a company website.